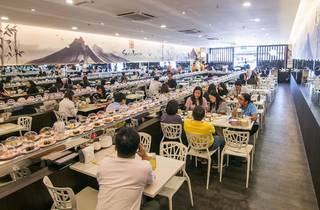 If your knowledge of sushi begins and ends with inari, this convivial family favourite will expand your horizons without breaking the bank. 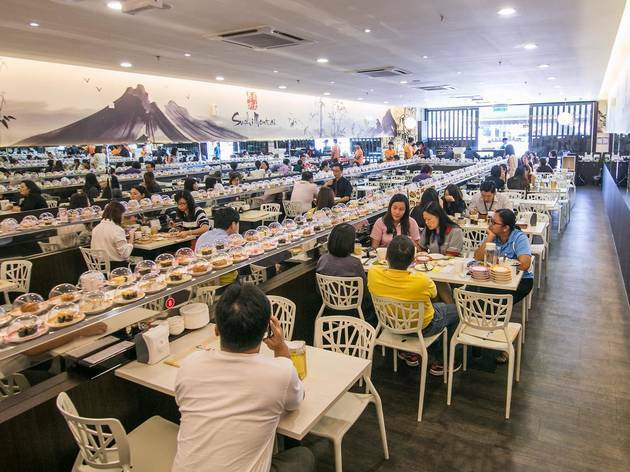 The restaurant builds its empire (there are currently 25 outlets in Malaysia and one in Singapore) around sushi priced at just RM1.80 and RM2.80. Plates of tamago mentai, chuka idako, shiro maguro and takoyaki ride the conveyor belt, but anything off the merry-go-round is equally good: Their saba shioyaki, by some miracle of marination (we suspect it’s just good salt), is probably one of the best we’ve eaten – plus, it’s only RM11.80 for a thick slab.